Social CRM enables firms to monitor and interact with their followers more effectively than ever before, writes Billy MacInnes. 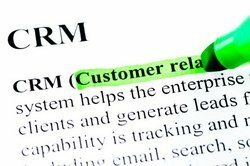 Where is customer relationship management (CRM) going next? Social CRM enables firms to monitor and interact with their followers more effectively than ever before, writes Billy MacInnes. 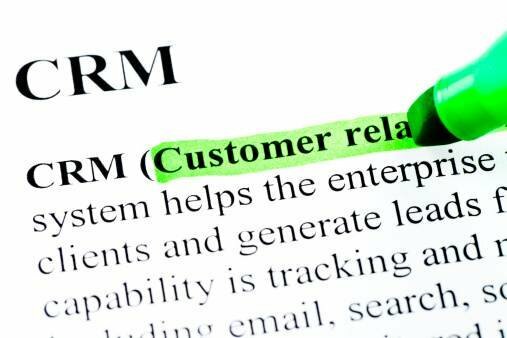 Where is customer relationship management (CRM) going next? It's a simple question and, judging by the responses from people in the industry, the answers are pretty simple too. The first port of call is social CRM. What does this mean? Essentially, it's about adding social media to the CRM toolbox, allowing businesses to engage customers and build dialogue in social media sites such as Twitter and Facebook. "Increasingly, social media channels are the first port of call for customers, whether that be to find out about a product, air grievances or to share their experiences with others," says Daniel Hansen, director at QuestBack. "Tools that can offer insight into a brand's social media audiences are an invaluable way of understanding who they are, how they relate to target audiences, how interactions can add value, and how to adapt future communications to increase the effectiveness of social media channels." He claims social CRM brings customer relationship management "into the most exciting arena of company-to-customer interaction: social media". "Until the advent of social CRM, it has been difficult to measure the effectiveness of social media initiatives," he adds. "Now businesses will be able to monitor and interact with their followers more effectively and react accordingly. "This includes key indicators, such as their likelihood of recommending and sharing with friends, their tendency to purchase and their overall customer satisfaction. All of which offers a platform for marketing and branding teams to build strategies on. Facebook fans are no longer an abstract number, but have assigned value and meaning." It is a view shared by many others. Stuart Held, channel manager at CDC Software, describes the ability to integrate CRM platforms with social media tools as "the next big trend". He says it is "vital" a business communicates with customers in a language they understand, via technologies they use. "The ability to interface with Twitter, Facebook and LinkedIn is vital. It is the most effective way a business can capture, analyse and benefit from indirect customer sentiment. Knowingly, or otherwise, people volunteer information about themselves." By 'liking' a Facebook page or forwarding a video link, potential customers open up their demographic profile to the marketing department. "Their online experiences can be mapped, so too can those of any known contacts connected to them," says Held. He also suggests that the use of social media interaction is as important for B2B [business-to-business] sales as for B2C [business-to-consumer]. "Using LinkedIn, for example, a sales team can identify and target given groups of people, for example via personal connections or user groups. Generally, social media is about two-way exposure. Potential customers reveal themselves and marketers feed this information." Tom Schuster, vice-president and general manager of SugarCRM Europe, says CRM is "key to any social media strategy" to build and maintain relationships with customers. "Social CRM tools help provide a 360-degree view of the customer by enabling customer-facing employees to use securely the same tools they use privately, such as Facebook, Twitter and LinkedIn, and integrate them into the company's CRM system, to communicate and exchange information with their customers." Craig Sullivan, vice-president and general manager at NetSuite, is adamant that no new CRM initiative should ignore the increasingly important opportunities represented by social media. "In this day and age, if you are not running a social enterprise you are surely missing out on opportunities that your social competitors are winning - and because you're not social, you may very well not realise it!" Finlay Carmichael, managing director of C2 Software, highlights social CRM, but he also points to another big trend - XRM (anything relationship management). "Putting both together allows you to configure a CRM solution that is based around all of your business processes, client interactions on the web and integration with social media," he says. "As such, the 'one view' of the customer in CRM will reflect the client's self-service habits on the web." But just how advanced is the social CRM trend right now? Recent figures from Gartner suggest it is becoming a noteworthy market. The market research company estimates the worldwide market for social CRM will hit revenues of $820m this year and grow to more than $1bn by the end of 2012. While that sounds like big money, it is worth noting that social CRM amounted to less than 5% of the total CRM application market in 2010. To complicate matters further, the majority of the 100 or so vendors selling social CRM solutions were not profitable and generated revenue of less than $1m, suggesting a fragmented market still in the early stages on the path to becoming successful. According to Gartner research director Adam Sarner, buyers are as much to blame for the fragmented market as providers, because "few have a social CRM strategy or established metrics to measure its effect on hard business results. Different departments, employees and managers implement different types of applications for different purposes. This lack of consistency among buyers keeps the market fragmented into at least three segments - sales, marketing and customer service". This will lead to a need for integration of processes with traditional, operational CRM applications, a drive which Sarner believes "will favour more traditional CRM vendors that add social capabilities. Integration did not matter much when enterprises were just experimenting with social CRM. However, companies are asking for the integration of social data with other customer data within sales, marketing and customer service processes." This will require the integration of social CRM with a number of applications, such as a knowledge-base for customer service, multichannel campaign management, salesforce automation or e-commerce, web content and web analytic applications, master data management, and back-office applications. It's a point taken up by Jonathan Rowley, CRM director at Avanade. Customer interaction and satisfaction in social media is "creating headaches for many companies as customers can complain faster and louder than ever before; and they expect immediate and personal attention. "A trend we're seeing with our customers is the need to have an IT system and processes in place which create internal alignment across historically disparate business units, such as customer service, marketing, IT, and even finance. The challenge for CRM project leaders is to create a platform that is custom-made for their sales cycle and facilitates ongoing satisfaction checks." Sullivan at NetSuite describes integration as a "crucial element that CRM systems of the future need to address". In many companies, customer-facing roles and the CRM applications they use remain islands within the organisation, with little visibility into key business data and no integration with other functions such as ERP or e-commerce. Companies are often left with little choice but to attempt complex software integrations to provide users with the critical data they need to do their jobs effectively. Jerome Laredo, UK, Benelux and Nordics managing director at Exalead, says companies are trying to expand the channels they support (mobile CRM, social CRM, etc) and the systems they connect to (SCM, accounting, ERP, BI). To achieve this, they need a better understanding of the customer information they have, a 360-degree view of each customer, and access to customer data that is as simple, fast and intuitive as the consumer web. Organisations are seeking to "exploit a single information platform to serve all customer information needs (sales, customer support, customer self-service, marketing, operational business intelligence), and collect all customer information wherever it lives: enterprise applications (CRM, ERP, SCM, etc), e-mail servers, support tickets, content management systems, SaaS applications, file servers, voice recordings, videos, the web, website logs, etc)". 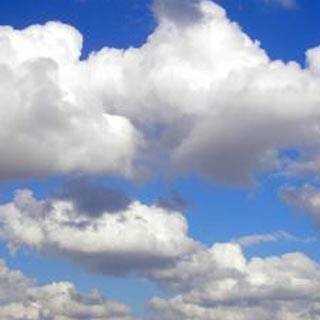 Dennis Fois, UK and Northern European sales director at eGain, says: "CRM is not an island. For a multichannel unified approach to work, seamless integration with network infrastructure and back-end operations is key. This is where the channel can really prove their worth - this is no longer a niche play, but part of the wider networking portfolio, opening up the opportunity for margin to a new raft of channel players." He claims the channel is already experiencing demand for solutions that unify customer service and knowledge management platforms to bring together sales, marketing and service silos across all channels of interaction. For a sales professional, knowing a customer's past experience with the company, their purchasing habits or service pain points "is more than half the battle in any cross or upsell. Today however, that information is spread across so many channels, with so many knowledge banks and departments, that harvesting, capturing and putting that knowledge to use is a serious challenge. 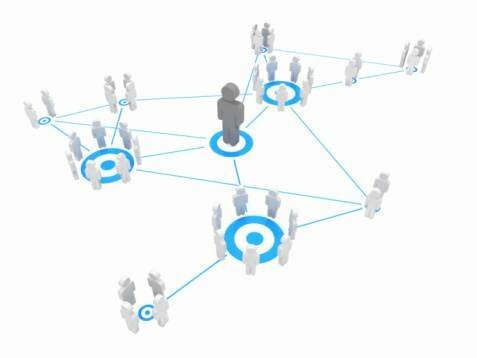 Integrated multichannel approaches to CRM that pool knowledge management, web self-service, web chat, e-mail, telephone conversations and social networking sources is where the channel opportunity lies today". Held at CDC adds that with most people using at least one of Facebook, Twitter or LinkedIn, the next step is to integrate them with their CRM systems. He urges partners "to drive vendors to develop social media extensions - to exploit their mature CRM customer bases and those of vendors which are slower to react". Is social media CRM easy to implement? Well, according to Hansen at QuestBack, it's a bit like any other strategy. "All marketing and CRM initiatives require a well-established strategy, staff to implement and execute it, and the right tools. If a company already has a well-established CRM foundation, the next step is to extend this into the social sphere. Get a social media strategy with clear goals up and running, and look for tools to get real value and substance," he says. Sullivan at NetSuite is anxious to put forward the case for cloud, arguing it has a lower total cost of ownership, can scale up or down quickly, requires very little in the way of on-site IT hardware, management and maintenance and offers flexibility of access. "Salespeople have the freedom to enter data at any time and in any place, while still having access to the latest, real-time data," he says. He says resellers can extend cloud platforms to support specific business verticals and provide customisations as solutions rather than as a one-time service delivery. "Previously time-consuming and inefficient, any customisation from a reseller was restricted to that customer's individual IT environment. 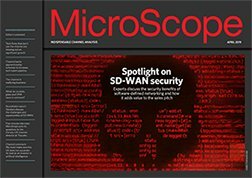 Now, using the core application capabilities, tools and support provided by the vendor, resellers can build their own vertical applications on existing cloud platforms, and then sell these applications many times over to their customer base." So how much of an opportunity does the CRM market represent? Schuster sees a big potential. "There are currently about 470 million corporate e-mail users today. If you figure half of those users interface with the customer at some point, you have up to 235 million potential CRM users in the world today," he calculates. "CRM is poised for massive growth in the next five years as the focus in hard times is on customer acquisition and retention," he predicts. "The market could easily double, if not triple, as a software market category, outpacing current growth projections considerably."